Gel press-poly-gel gel plate. With Gel Press Plates you get all of the benefits of gelatin printing but none of the downsides. 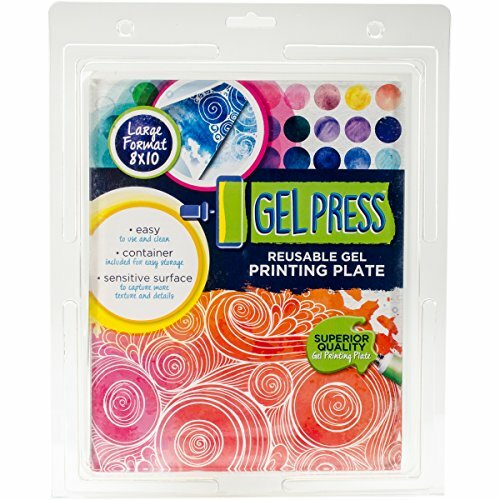 Gel Press is super durable and reusable because the plate can be stored at room temperature. Easy to use and clean. This package contains one 10x8 inch gel plate. Non-toxic. Latex free. Conforms to ASTM d 4236. Made in USA. If you have any questions about this product by Gel Press, contact us by completing and submitting the form below. If you are looking for a specif part number, please include it with your message.